What a time to be alive. It was the early 1900’s in the newly formed country of Canada and the population’s fascination with the fastest game on ice had barely started. The passion we know and love today from Canadians was in its infancy. However in Cornwall, the small Seaway town had been established for well over a hundred years already. Early versions of the game had already taken place up and down the St. Lawrence corridor; it was only fitting for a league to start in the area. 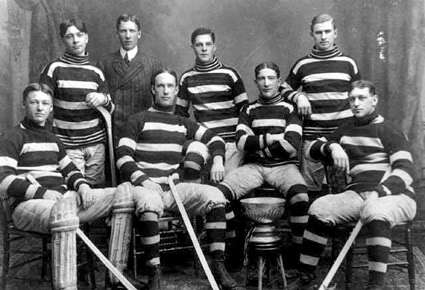 Under the leadership and guidance of the already well-established Montreal Wanderers hockey club, the formation of the Federal Amateur Hockey League began in 1903. What came to fruition was a 4 team, 6 game season that would begin that very winter. The clubs in the mix were the aforementioned Wanderers, Montreal Nationals, Ottawa Capitals (who would later become the Ottawa Silver Seven) and a team from the Seaway City of Cornwall. Over the next couple of years, clubs from three other small towns in the area, Brockville, Morrisburg, and Smith Falls would try their hand at winning a championship with the latter winning one in 1906. In 1905, two teams from the FAHL and four from the Canadian Amateur Hockey League decided to join forces and form the Eastern Canada Amateur Hockey Association. Their decision to amalgamate was based on entertaining the idea to maximize revenues as hockey was turning into a wildly popular spectator sport. Along the same lines, some players were being paid under the table. This league would attempt to foresee the professionalism of the sport. This was the very beginning forms of the National Hockey League that we know and love today. Cornwall’s club was not one of the lucky two who got picked to join. The powerful Montreal Wanderers and Ottawa HC were the ones invited. However the league was looked at as a sort of farm league for the clubs in the ECAHA. Cornwall had its fair share of powerful players but could not manage a standing place of higher than third in their years together. One player in particular showed promise as he was flying up and down the ice with great speed and developing a reputation of a powerful goal scorer. His name was Owen McCourt. 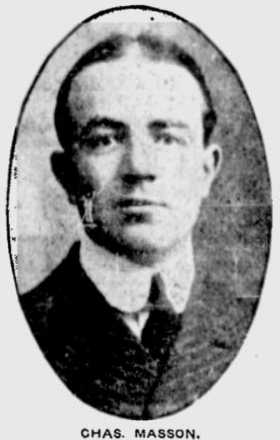 Owen McCourt was just 22 years old when he was invited to play a couple games with the Montreal Shamrocks of the ECAHA. McCourt was proving himself on the ice as he became the top goal scorer for Cornwall in the 1906 season with 5 (remember, seasons consisted only 5 or 6 games apiece). In 1907, the local brick layer was top of the world again as he notched 16 goals in 8 games including a 7 goal performance against Morrisburg in late February. 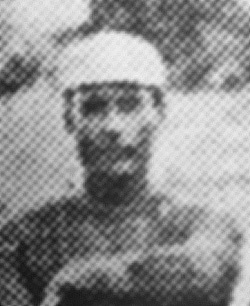 Taking note of his goal scoring abilities is what prompted the Shamrocks to invite McCourt for two games late in the 1907 season. McCourt was also a seasoned local lacrosse player which added to his skills on the ice. It was not uncommon for players to bounce around teams and leagues from time to time. Some looked down upon this tactic but it only improved the playing abilities of both the player and club. In the beginning of March, the Cornwall H/C were hosting the Ottawa Victorias at the old rink on Third Street. The fixture would be a replay of sorts from a game that was supposed to have taken place on February 15th. It did not go through as planned as McCourt and another Cornwall player were away with the Montreal Shamrocks while Ottawa protested the move accordingly. The game started off without incident but as it continued on tempers were starting to flare. Referee’s seemed to turn a blind eye and let the players get away unpenalized for a variety of infractions. Of course this happened all the time. In the days before replay, most of these dilemmas were based on word of merit if plays went unseen. During the second half of the match McCourt got to show off how his fists work as he managed to get himself into a predicament with Victorias’ tough guy Arthur Throop. As the two made their way to the bench Throop decided to get one last jab in at McCourt. As McCourt went to answer the call, Throop’s teammate Charles Masson reached out and slashed McCourt over the head with his hockey stick. A teammate of McCourt’s managed to come to the aid of his and cracked Throop on the head making it bleed. Both players went down to the ice within seconds. In true hockey player fashion, McCourt was taken off the ice for a few minutes then returned to the game. He then started to complain and was making his way to the dressing room once again. By the time he got there he had collapsed; completely unconscious. McCourt was rushed to the Hotel Dieu hospital where it was learned that a blood vessel had broken inside of his brain. He never woke up. Masson was charged with assault to do grievous bodily harm. He was not a dirty player; this incident was very out of character for him. As the public and authorities learned that McCourt had passed, the charges were then upped to murder. Days passed and more stories of what happened came from various players who had front row seats as witnesses. At one point one story had four different players on the ice suffering from blows to the head from hockey sticks. Some had complete other players in the mix. There will be no way to completely find out the actual play by play of what happened that fateful night. The only consistent players in each story were Charles Masson and Owen McCourt. Masson was eventually acquitted based on witnesses testifying that another unidentified player struck McCourt on the head before Masson. The predicament put a sour cloud over the Cornwall and area hockey scene as the team decided to withdrawal from the league. A few months before, a player from Maxville had also succumbed to injuries suffered during a game. This is one of the first recorded cases of a death resulting from flared tempers in a hockey game. Owen McCourt was on his way to making a name for himself in the hockey world. Who knows what records he could have produced and what teams he could have played with. At the same time, his name is now in the hockey history books and will forever be a part of Cornwall folklore. It’s up to us to keep his memory and his brief talent alive.